Article from Wind Systems Magazine. Roemheld has introduced new rotor locks that are designed to deliver increased availability and simplified maintenance to wind power plants. A new, special coating prevents the locking bolt from rusting when not in use for a long period and non-contact position monitoring avoids mechanical wear and extends the life of the component. A permanently corrosion-free coating of the bushings prevents rusting between surface intervals and the need for regular greasing. As a result, the rotor lock is permanently ready for use, which also reduces the need for plant maintenance. The surface protection of all rotor lock components corresponds to DIN ISO 12944, C4, so that they can also be used in offshore operations. Roemheld manufactures hydraulically or electro-mechanically operated rotor locks to customer specifications and supplies to companies all over the world. 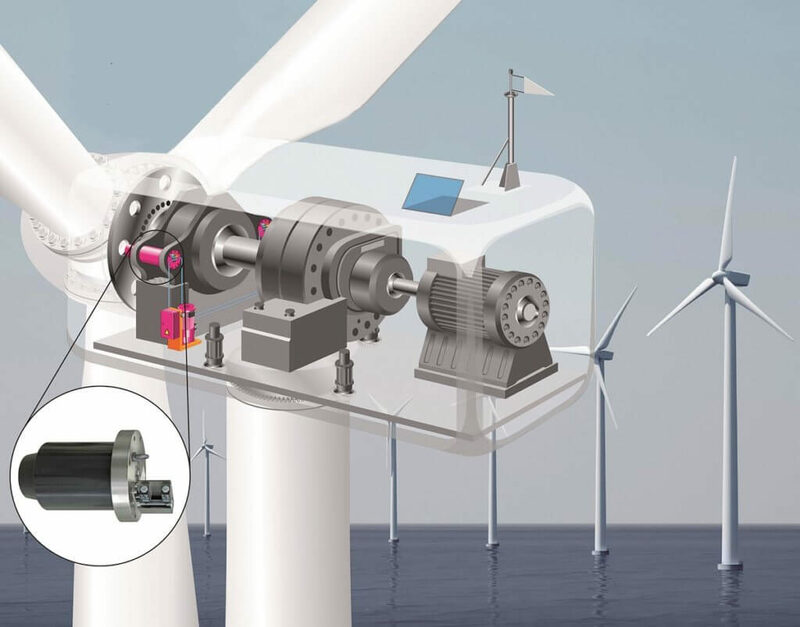 The rotor lock resists side loads up to a maximum of 7,000 kN and can be used to lock the rotors of onshore and offshore wind power plants with up to 6.5 megawatts of power. The locking module, with its compact design, is adapted to the limited space in the nacelle. The use of standardized components makes it possible to produce complex special designs quickly and cost-effectively.